We just wrapped up our Annual Convention with the Florida Indpendent Automobile Dealers Association (FIADA). 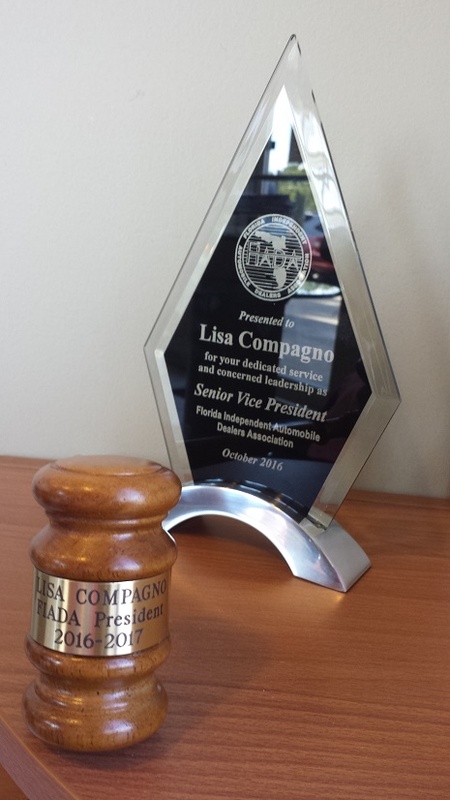 Lisa Compagno (our general manager) completed her role as the Senior Vice President of the FIADA and was elected as this year's President!. Congratulations! We are proud to have Lisa representing Palm Tree Auto Sales and the Automobile Dealer Industry as a whole through this prestigous position. We know she will fulfill her role as President to the best of her abilities. To learn more about the FIADA visit www.fiada.com.